Two years away and I’m already getting advice about how competitive residencies are. And try as you might to focus on the classroom, with Step 1 approaching, it is difficult thing to ignore. And so, I thought I’d take a look at the comparative competitiveness of various specialty training. You hear often, certainly when you first step into medical school, to just do you best and let the pieces fall into place as you get closer to application. Despite that it turns out grading the competitiveness of specialties is a popular past time. From internet message boards (or here or here) to Chairmen and mentors and classmates. At least that has been my observation. Those two are more competitive than say Medicine, but to put them on the same level is to draw very broad lines of demarcation. Sifting through who to trust can be difficult if you’re interested in a competitive specialty. Basically this is entertainment. Knowing a specialty’s comparative competitiveness probably does little to actually help you match into that specialty. With that disclaimer laid out, it turns out that this is a very good time to be putting this piece together. For the first time the NRMP has released hard data to the general medical student population on average Step 1 scores, % AOA, and the like for various specialties. This is something the early match has been doing for years. 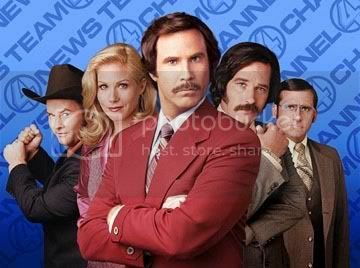 The series will be hosted by the cast of Anchorman. Obviuosly I am biased as I hear tha Orthopedics is one of the MOST competeive to get into. Matching can be a real challenge especially if you look at programs like Special Surgery, Hosp. for Joint Diseases, Mount Sinai or Columbia Presby here in NYC. Others Like USC and UCLA are also very competitive as are Rush in Chicago or Mayo in Minn. I’m just scratching the surface here. Good luck with your choices, I hear the whole process regardless of specialty, can be very nerve-racking. Ortho is very, very tough. Those surgical sub specialties are almost in a class by themselves (ENT, Ortho, Neurosurgery). Thanks for the encouragement. Gotta get past this major board test at the end of this year. Why is family medicine last on your list? When students are finished with medical school they must apply to residency; this is their post graduate training where they specialize. This list reflects only how difficult it is to get into the various specialties. The reasons why I ranked Family Practice last in terms of competitiveness are listed in the series. Largely it is because not a lot of American medical students desire to go into it. The reasons for that are a topic of debate but clearly primary care medicine (such as family practice) is struggling in this country. It is too much work for too little reimbursement. There are a lot of discussions around the web about the trouble primary care is having attracting medical students. Surprisingly for me, Medicine is more competitive than Ob. I always thought tht Ob is getting more competitive and is the same tier as Gen Surg.